We have partnered with Grand Bahama businesses in order to present to our top finishers gift certificates. There will be a cash prize for the overall first place winner. Attached for your convenience is the entry form. Please fill out and drop off to ZNS office on the third floor, Government Complex. Race numbers will be given out on Friday, March 30, 2012 from 5:00 – 7:00 p.m. at the Government Complex. We look forward to your participation and support of this year’s charity, The Grand Bahama Crisis Centre. 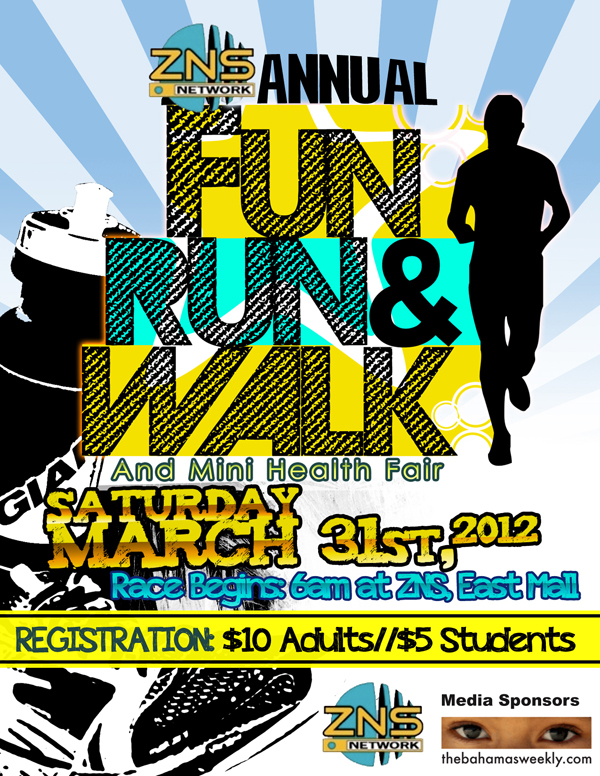 Enter the race as we “March for Health”!